The Baytown Symphony Orchestra is kicking off its 51st season with a bang! Italian violinist Laura Cividino will perform the beloved Violin Concerto in E minor by Felix Mendelssohn at 2:30 p.m. Sunday, Oct. 7, in Lee College’s beautiful Performing Arts Center. This performance is Cividino’s debut with the Baytown Symphony, but she is no stranger to the greater Houston area. She performs regularly with the Houston New Arts Movement, Mercury Chamber Orchestra, Bach Society Houston, Austin Baroque Orchestra, and the Brazos Valley Symphony — among other guest appearances — and tours internationally with the Calliope String Quartet. You are sure to be impressed by her rich sound and musical depth. This season-opening concert will conclude with Edward Elgar’s unparalleled Enigma Variations. This inspired work is built from multiple short movements that represent the important people in the British composer’s life, from his wife to his colleagues. This orchestral homage to Elgar’s friends is among his greatest works and, undoubtedly, one of the finest works by a British composer. Student tickets are free at the box office before the concert. The program includes “The Italian in Algiers” Overture by Rossini, Violin Concerto in E minor by Mendelssohn, and Enigma Variations by Elgar. The Baytown Concert Band will present its Spring Concert at 7:30 p.m. Friday, April 21, at the Lee College Performing Arts Center. Ken Booker, conductor of the Baytown Concert Band and Director of Instrumental Music at Lee College, said the theme of the evening’s free performance is “Vesuvius,” which is also one of the pieces being performed. “It’s a community band that has a few students in it, but most of the people in it are from the community,” he said. Booker said most of the music is classical, though he does introduce some newer selections as well. The Concert Band mainly differs from an orchestra in that it has no string instruments. “It’s really about East Texas,” Booker said. “One of the movements is called “Red Clay.” He said the title “Black Water Scenes” is meant to evoke the feel of the woods of that region. “You see that still water that is black because of the shadows. The cypress trees and stuff like that make it look kind of (black),” he said. 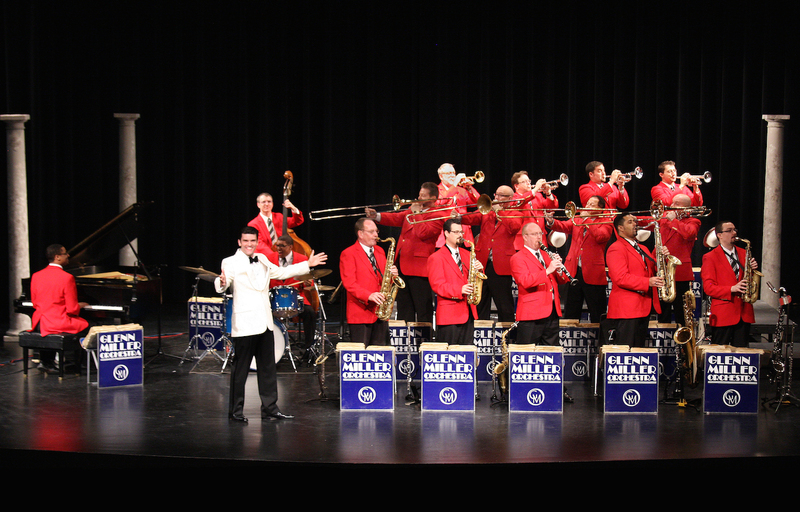 BAYTOWN, TX — The world-famous Glenn Miller Orchestra – known for the legendary dance bandleader who founded the beloved group and dominated the Swing Era of the 1930s and 1940s with a matchless string of hit records – will bring the classic sounds of big-band music to the Lee College Performing Arts Center (PAC) next month. The Glenn Miller Orchestra will perform on the PAC main stage at 3:30 p.m., Sunday, March 5. Tickets are $20-40 and available for purchase online at http://www.lee.edu/pac, or by calling the Box Office at 281.425.6255. In true big-band fashion, the Glenn Miller Orchestra is on the road longer and more continuously than any other in the world – covering more than 100,000 miles per year and working nearly every night for 48 weeks out of the year. The orchestra performs for more than 500,000 people annually, entertaining crowds throughout the United States, Europe, Australia, Asia and South and Central America. “Moonlight Serenade,” the beautiful theme of the orchestra in the 1940s that was composed by Miller himself, remains their signature tune today. BAYTOWN, TX — After performing holiday favorite “The Nutcracker” for three years in front of sold-out crowds – and with live accompaniment from the Baytown Symphony Orchestra since 2013 — the Bay Area Houston Ballet and Theatre (BAHBT) will return to Lee College this month to delight audiences with the beloved story of young Clara and her magical Christmas toy. 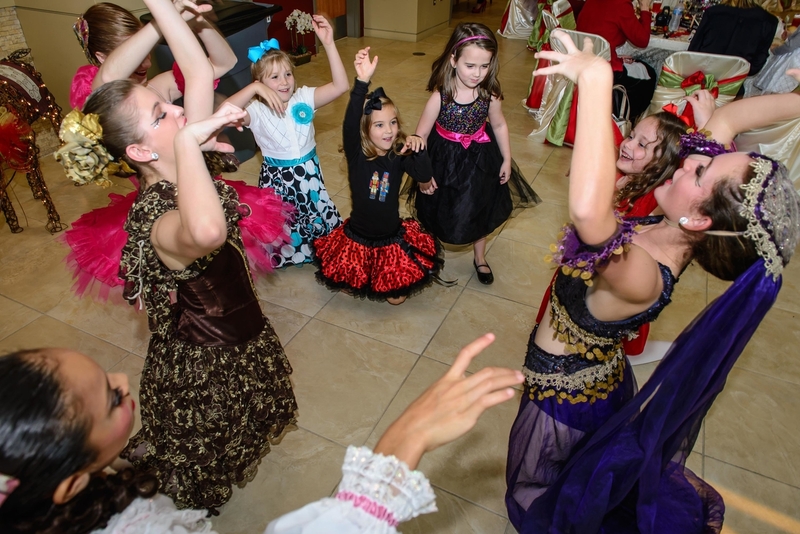 Three performances of “The Nutcracker” are scheduled for the Main Performance Hall at the Lee College Performing Arts Center (PAC): 7:30 p.m. Friday, Dec. 16, and Saturday, Dec. 17, and a matinee set for 2:30 p.m., Sunday, Dec. 18. Tickets are priced at $20-45 and available for purchase online at www.lee.edu/pac or by calling the Box Office at 281.425.6255. 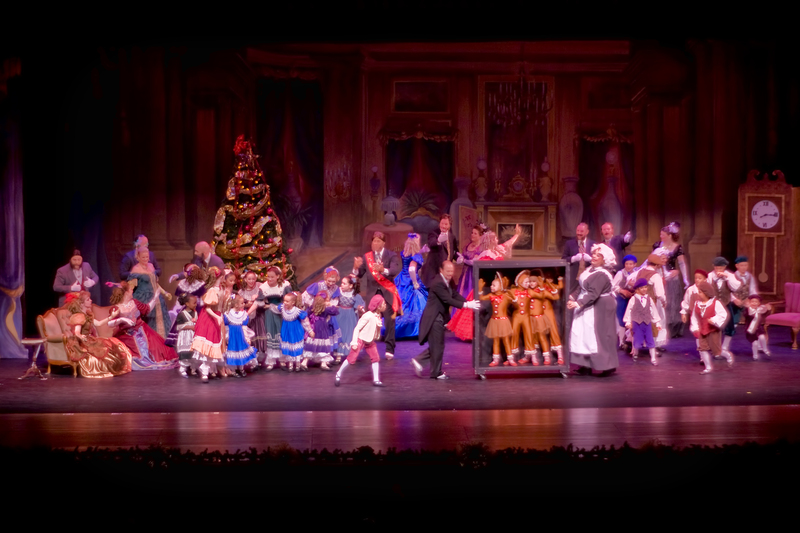 The only professional ballet company in the Bay Area with residence at the University of Houston Clear Lake, BAHBT has performed “The Nutcracker” for audiences in the Houston area for more than 40 years. The group produces a season each year in their performing residence at the University of Houston-Clear Lake that includes an eclectic array of ballets and musicals. Families can create a special Christmas memory or start a new holiday tradition at “Tea Time with the Sugar Plum Fairy,” where children will meet and have their photo taken with one of the most iconic characters in “The Nutcracker,” known for her beautiful dance in the second act. The ruler of the Kingdom of Sweets will greet, dance and spend time with children at 10 a.m., noon and 2 p.m. in the PAC lobby, before the Saturday evening performance of “The Nutcracker.” Tickets for the tea are $25 and can also be purchased at www.lee.edu/pac or by contacting the Box Office. BAYTOWN, TX — Award-winning jazz singer and songwriter Kathy Kosins will bring her internationally acclaimed vocals and eclectic musical palette to Lee College as the special guest star at the free “Jazz Night @ Lee College” concert set for Friday, Nov. 11, at the Performing Arts Center (PAC). Jazz Night @ Lee College will begin at 7:30 p.m. in the PAC Main Performance Hall. The show is open the public, and tickets are not required. Born and bred during the Motown era of Detroit, Kosins was a sought-after session singer throughout the 1980s, known for singing and arranging background vocals for producer Don Was. 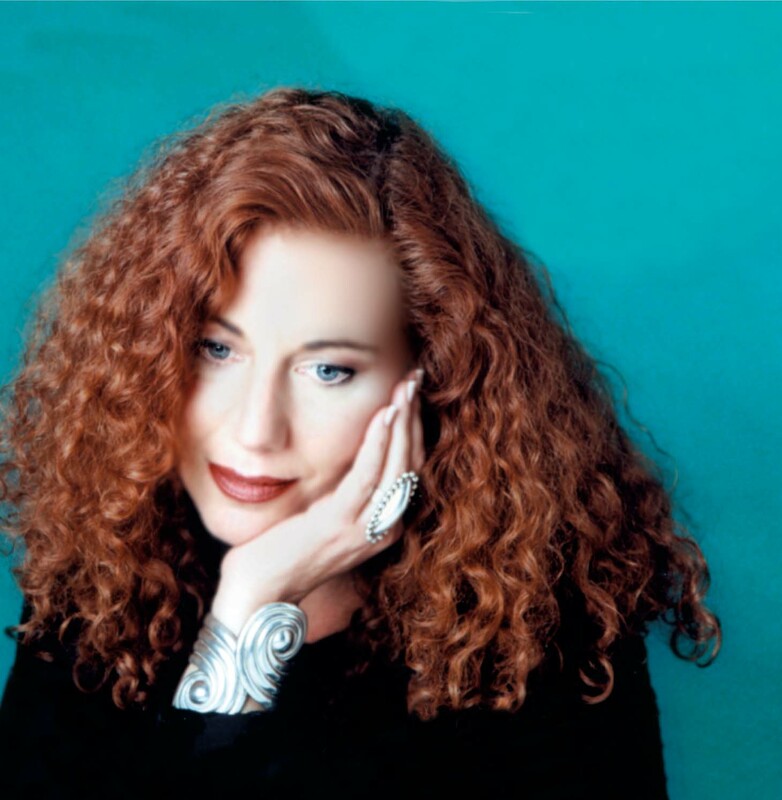 After finding and falling in love with the freedom and artistry of jazz music, she completed stints with the JC Heard and Nelson Riddle orchestras and released “All In A Dream’s Work” in 1996. The debut album featured original songs and a cover of “Four” by Miles Davis, earning Kosins play on 250 jazz stations across the country. Kosins recorded multiple albums throughout the 2000s, including “Mood Swings” in 2002 and “To The Ladies Of Cool” in 2012. For “The Space Between,” released in 2013, she worked in the studio with some of the best musicians in Los Angeles to bring new life to little-known records by Shirley Horn and Nat King Cole, among others. Her newest album — the sultry and intimate “Uncovered Soul” — will also feature rarely heard records by legendary and contemporary soul performers like Curtis Mayfield, Eugene McDaniels, Aaron Neville, and Amos Lee. Described by critics as “one of the most alluring voices in jazz” and “a joy to listen to,” Kosins has toured and performed at events and venues throughout the U.S. and Europe — from jazz festivals in France and Switzerland to clubs and concert halls in New York, Washington, Philadelphia and Chicago. 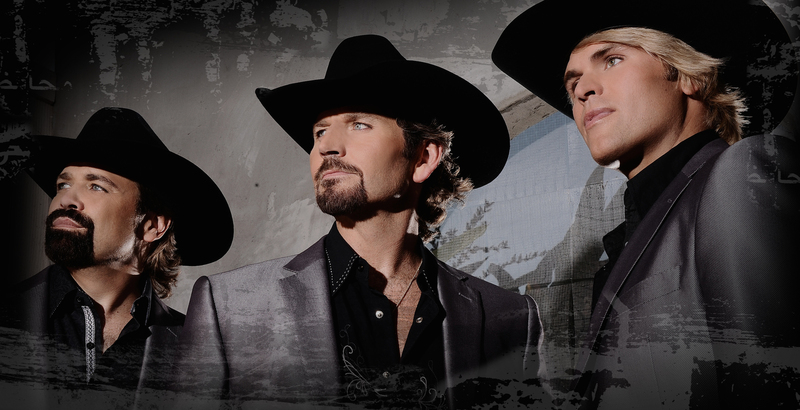 BAYTOWN, TX — After lighting up the stage on the nationally televised competition show “America’s Got Talent,” winning three Emmy Awards for their PBS concert special and selling out the Lee College Performing Arts Center (PAC) for two different performances, The Texas Tenors are returning to the PAC this month to delight audiences with their incredible vocals and signature cowboy charm. “The Texas Tenors: Let Freedom Sing!” is set for 8 p.m., Friday, Sept. 30, in the PAC Main Hall. Tickets are $45-65 and available for purchase online now at www.lee.edu/pac, or by calling the Box Office at 281.425.6255. Since their whirlwind television debut and fourth-place finish on “America’s Got Talent” in 2009, The Texas Tenors have performed their unique blend of country, classical, Broadway and pop music in more than 1,000 concerts around the world and on their PBS special, “You Should Dream.” PBS plans to air a second concert special with The Texas Tenors in 2017. The trio — made up of singers and classically trained musicians Marcus Collins, John Hagen and JC Fisher — cover a diverse repertoire that showcases their individual vocal talents and lush harmonies, while exploring everything from Alabama to Puccini and Bruno Mars. Their 2013 country-themed album, “You Should Dream,” reached the Top 10 and features traditional favorites like “God Bless the USA” and “Unchained Melody,” as well as two original songs and the backing of a 65-piece orchestra. In 2014, Billboard magazine named The Texas Tenors the No. 10 classical artists in the world, and the group is routinely the premiere attraction in the tourist hub of Branson, Mo., where they perform 60 concerts at the Starlite Theatre each year. Beyond the concert halls and packed arenas, the “three friends with a dream” have made several televised performances and contributed to numerous charitable causes, including The Child Fund International, Homes for Our Troops and The Mission Project. The Texas Tenors pride themselves on remaining self-produced, self-managed and committed to providing quality entertainment for families and fans of all ages.